Twenty-five years after the first black & white issue of the self-published comic book Bone appeared on comic shop shelves, and over a decade since the concluding chapter comes a new (and completely superfluous!) adventure featuring the Bone cousins! Ride along with the boys and their friend Bartleby the Rat Creature as they brave the dangerous journey across the desert back toward Boneville in their rickety cow cart. 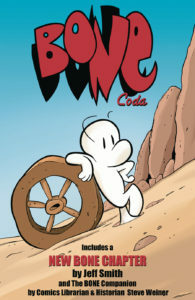 Creator Jeff Smith is back for another laugh with Fone Bone, Phoney Bone, and Smiley! Also included is the complete text of The Bone Companion fully illustrated for the first time! Plus rare behind the scenes photos and memories, and an afterword by the author thanking the comics community and the readers. 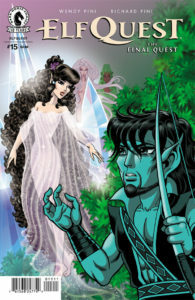 After weeks of tracking, the Wolfrider rescue party finds Cutter in the clutches of an eerie new tribe of elves. But are they too late to save their chief from plunging over the edge of madness? Two-Edge and Ekuar rekindle their strange friendship-to ally against Rayek. How will this shocking turnabout affect the advancing human war fleet and the shape-changed Wavedancers who follow in its wake? 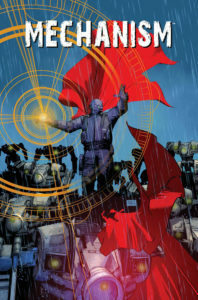 “The long-beloved and even longer absent space hero returns at long last! “First, we brought back MICRONAUTS! 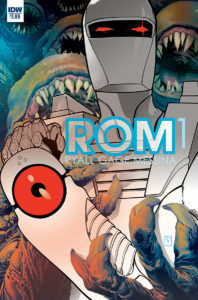 And Now… ROM! “As if Rom’s return wasn’t enough, wait’ll you see how this one ends! 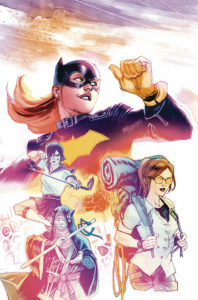 “24-page kick-off story plus interviews, bonus sketch material and more! 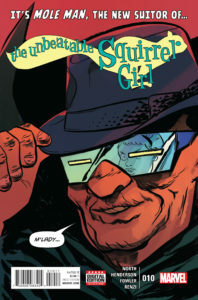 • Mole Man has fallen in love with Squirrel Girl, and he’s holding the world hostage until she goes on a date with him! • “Ship” is short for “relationship,” in case you thought I was talking about, like, Galactus’ “Star Sphere” or Mr. Fantastic’s “Fantasticship” or whatever.